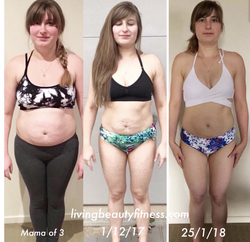 As a mum of three children I never thought this would be possible but I have experienced amazing results. The entire team at Living Beauty made me feel so welcome and I love the support I get not only from my coach but from all the women on our team. I love that I have access to a personal training program that is easy to follow and gives me opportunities to challenge myself. I also have my own personal meal plans, which is rotated, regularly according to my needs. I was scared going into a comp prep that the food would be boring and that id struggle to stick to the plans but the nutrition plan is anything but boring. I am eating a wide variety of foods that not only look amazing on the plate but also are full of flavour. I love that all my meals are family friendly too so it makes life easier in the kitchen when feeding a large family of five. I also love that they are simple and time/cost effective meals so I can easily prepare meals around my busy day-to-day life. I have had fantastic results, not only in regards to weight loss and body shape, but overall wellbeing. I am feeling more energetic, I have noticed that my daily bloating, and associated tummy pains have subsided, and I’m physically fitter during my workouts at the gym. I competed in my first bikini competition and feel so proud of my achievements. What advice for others do you have if they are thinking about getting started? As mother’s we often put everyone else’s needs first, but sometimes we have to stop and take care of ourselves too. This is how I got started on my fitness journey. My advice to mothers out there wanting to make a start on their health and fitness would be to set aside some time in the day for you. Start with small changes, whether that be a 10-minute exercise routine at home, or a walk in the fresh air just get your body moving. There are loads of programs out there and it can seem overwhelming at first but do your research and find a plan that suits your needs and lifestyle. 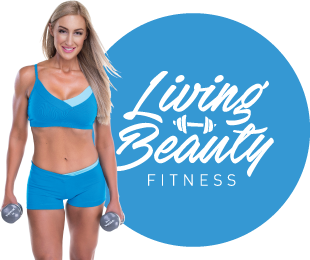 I can’t recommend the Living Beauty programs enough, quite simply they work.